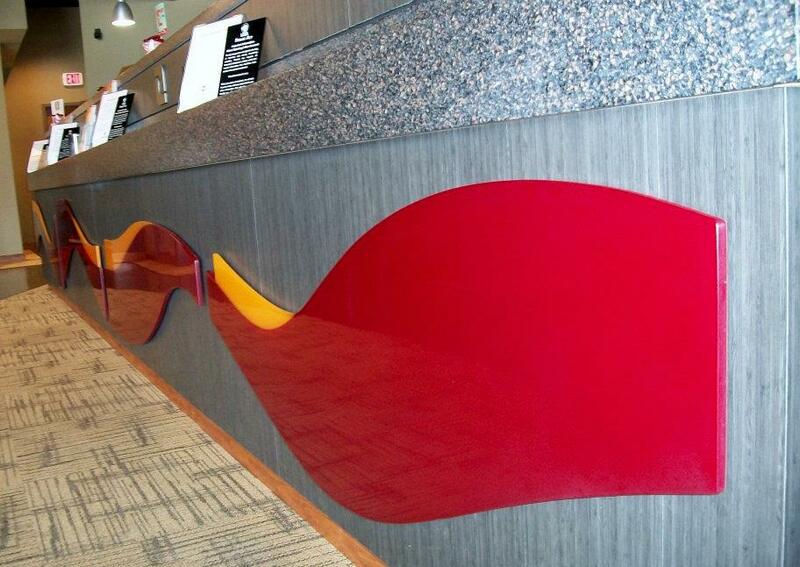 Solid surface is a man-made material primarily made up of acrylic and polyester polymers. It has the same composition throughout the entire thickness, so no matter which way you slice it, it can be brought back to a brilliant shine! Solid Surface still holds it's own, it has been around for years and is still a popular option. So when considering countertops, solid surface really should not be overlooked. It is a very sanitary product. It is non-porous, so it allows no penetration, and is easy to clean, making it ideal for kitchens, bathrooms, hospitals, and schools. The most flexible of all countertop options. SEAMLESS appearance! This is probably the most desired of all of it's qualities. You will not feel your seam and in most cases you will not see it. It is important to understand however, that if you purchase a color that has movement in the pattern, you could see the seam. Integrated Sinks! you will not be able to tell where the top stops and the sink begins! If you decide to go with an integrated sink, it is built onto the top and polished out. You will never have to worry about caulking drying out and cracking or mold and mildew building between the sink and top. Seamless repair. Hopefully you will never damage your solid surface, however if it cracks, fades or scratches, it can be repaired to look brand new in most cases. Always use a cutting board! Never cut directly on your solid surface counters! Always use hot pads. Never set a hot pot directly on your solid surface! Below is a list of our Solid Surface providers. Feel free to click on them and check out their sites for current samples and design ideas!